S&P 500 – Despite all of the recent hysteria in the news about the Turkish Lira and Trade Wars the SPYs made an all-time high on August 18th. They have been consolidating just above support at the $286 level. There is support around the $286 level because it was resistance earlier in the year. 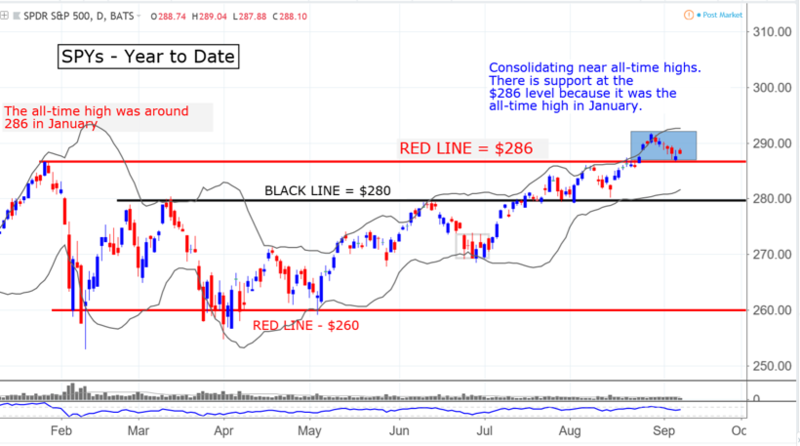 The next level of support will probably be around the $280 level because it has been an important level this year. 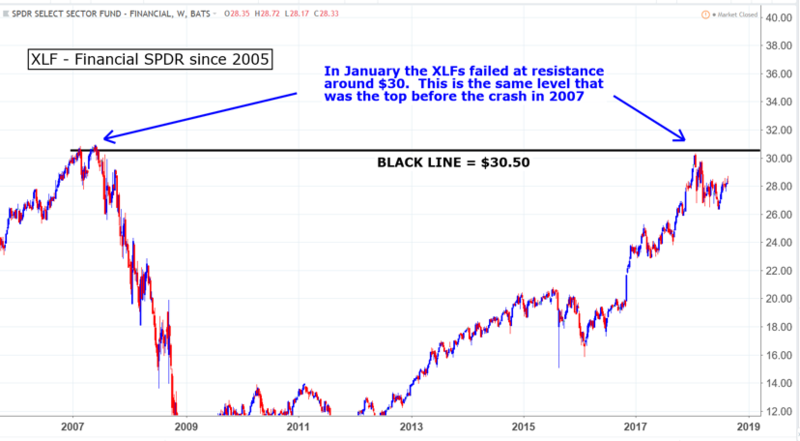 Technology – The XLKs are trending lower after making all-time highs. If they head lower there should be some support around $72.50 because it was the top in June and support in August. This sector is 28% of the S&P 500 makeup. 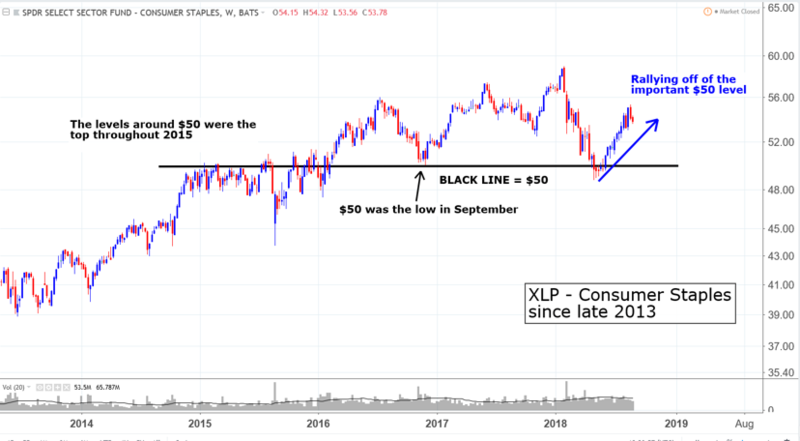 Healthcare – The XLVs have broken their recent uptrend and are consolidating. There has been support around the $92 level. It was the top in January. This sector is 14% of the S&P 500. 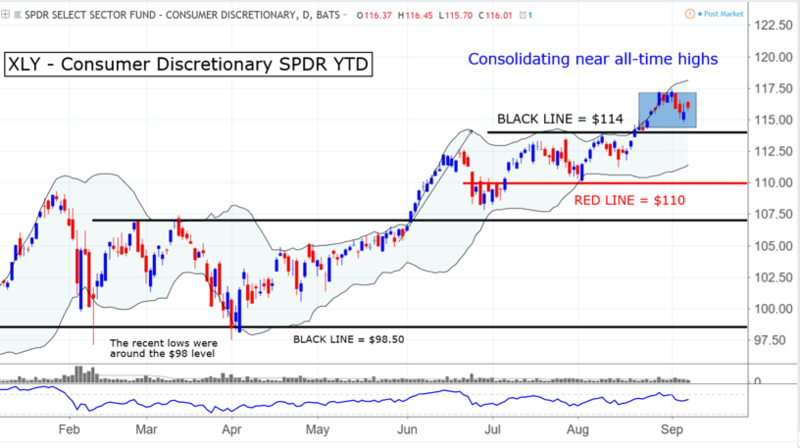 Consumer Discretionary – The XLYs are consolidating near all-time highs. If there is some profit taking there should be support around the $114 level because it was the top of the recent range. There was support around the $110 level because it was the top of the range at the end of June and in early July. This sector is 13% of the S&P 500. 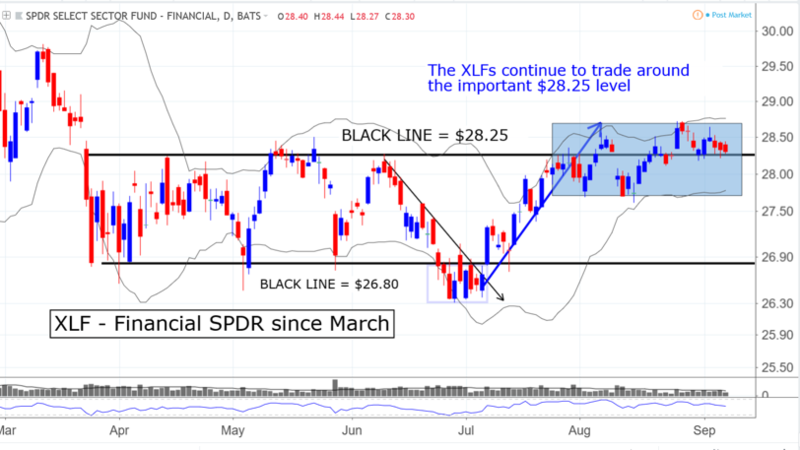 Industrials – The XLIs are consolidating above support around the $76.50 level. That is where the three most recent highs were in April, May, and June. This sector is 10% of the S&P 500. 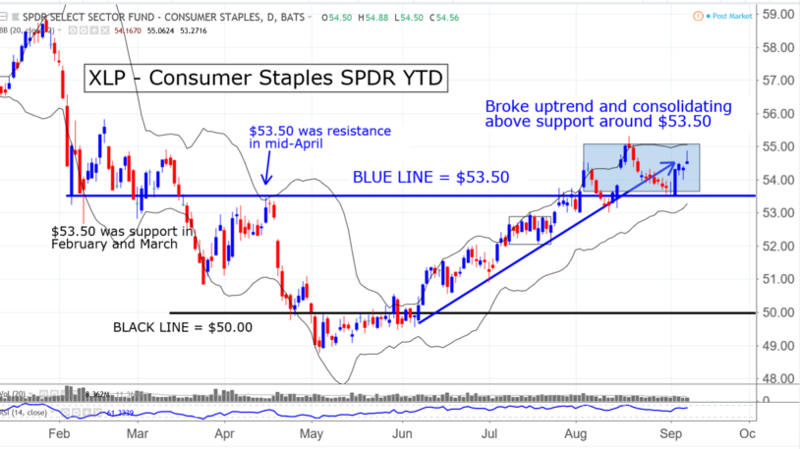 Consumer Staples – The XLPs broke their recent uptrend and are consolidating above support at the $53.50 level. This level was resistance and the high in April because it was support in February and March. Longer-term, if they head lower there will most likely be support around the important $50 level. This sector is 7% of the S&P 500. 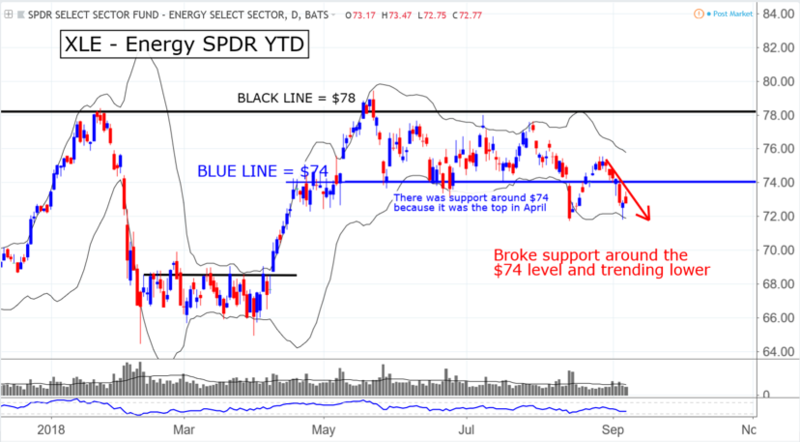 Energy – The XLEs have broken support around the $74 level and have been trending lower. Longer-term, there is resistance around the $78 level. This sector is 6% of the S&P 500. 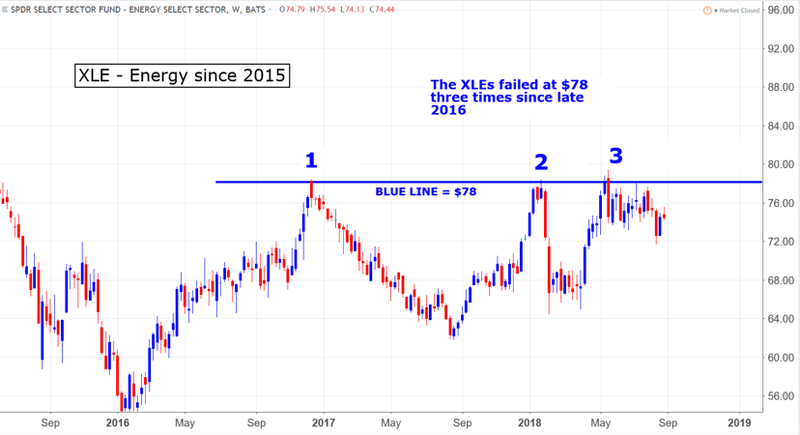 Materials – The XLBs continue to consolidate between the $58 and $60 levels. 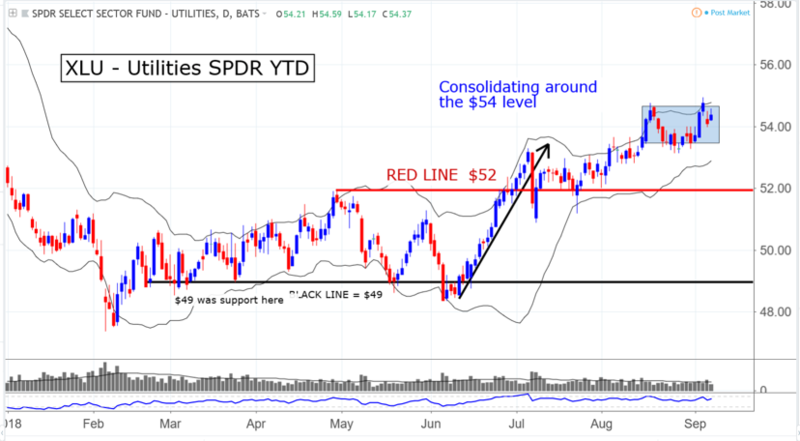 The $58 level is where they found a low in May and where they traded from the end of June through early July. The $60 level is where they found a top in April and May. This sector is 3% of the S&P 500.